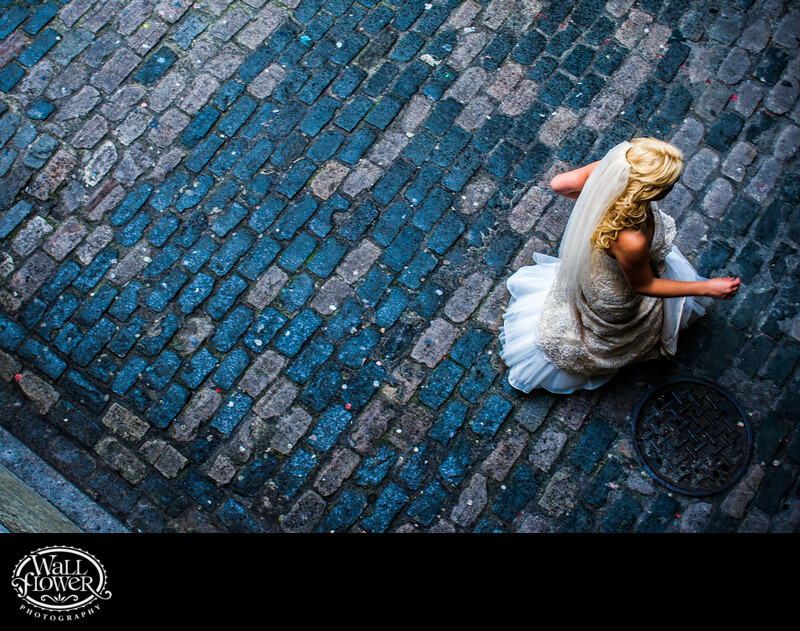 Here's an unusual angle of a bride walking on the historic cobblestone road of Post Alley near Pike Place Market in Seattle, Washington. The overhead angle help to expose the patchy look of the litter-strewn bricks and the round manhole cover near the bride, and the the off-center framing gives the image a sense of movement and imbalance that keeps you looking. I loved the cool, blue tones of the cobblestones, but warmed up the bride and her wedding dress to a realistic degree to give her some nice color and get rid of excessive blue tones in the white parts of her dress.